Fashion and passion; seems like there a glorious kinship between the two...not merely in terms of the diction, but the euphoric articulation. 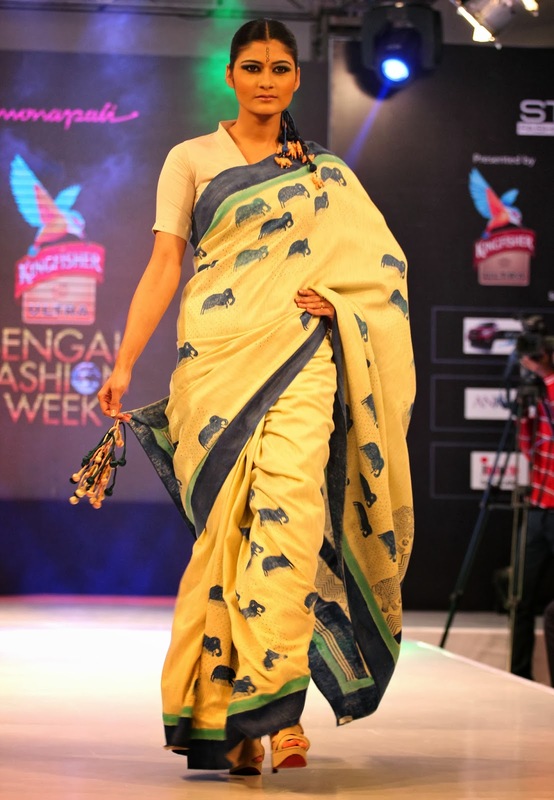 In-fact, I guess the ones who have "experienced" the Signature-Kingfisher-Ultra-Bengal-Fashion-Week, wouldn't mind using the above mentioned terms interchangeably. 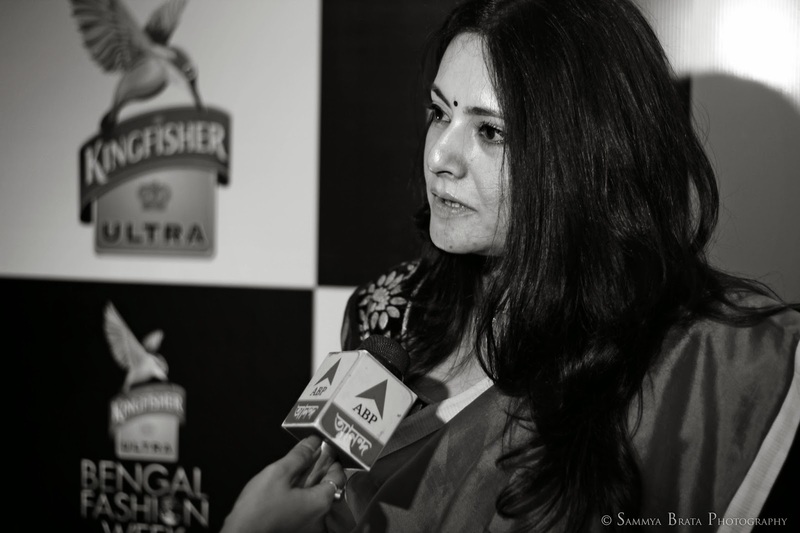 Yes, my friend, Kolkata witnessed an effulgent collaboration of sorts; the Bengal Fashion week unfurled some marvelous collections fabricated by ace designers...it was an experience to savor. 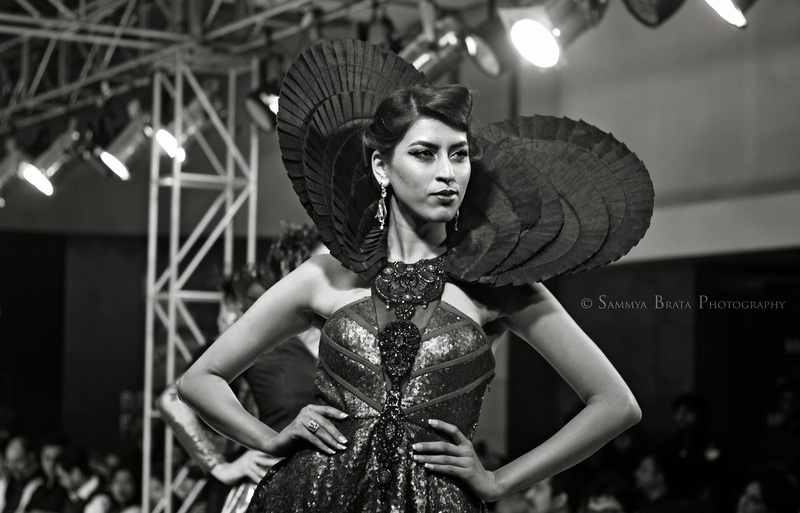 The 3-day long pageantry (organized by the Storm Fashion Company at the Galaxy, Park Hotel, Kolkata from February 21-23, 2014) dazzled us to the core; it was rightly pointed out by a cynosure that the event was event was pretty much "an extravaganza of style and vogue with a blend of innovation and novelty". The "glam-party" kick-started with the fabulous blend of traditional and contemporary styles "sketched and stitched" by the legendary Jaya Mishra, Agnimitra Paul and Jyoti Sachdev Iyer. The prodigious effort in designing their signature costumes and of course, the synchronized "exhibition on the ramp" was applauded by the fashion-connoisseurs. 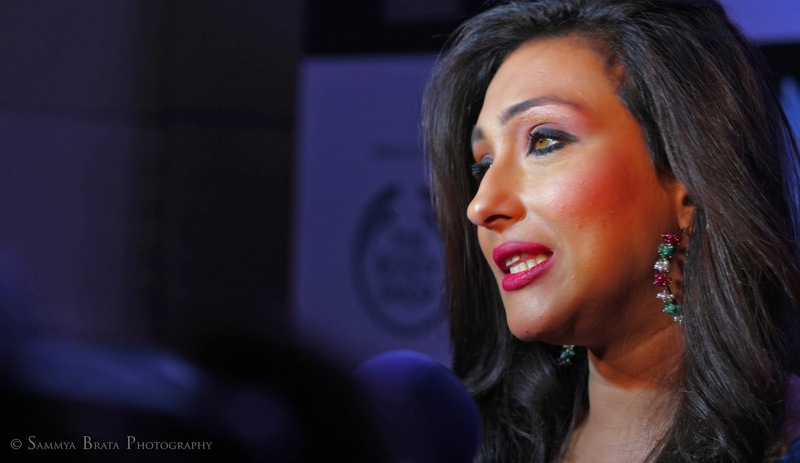 The resonating effect of the click-centric-intonation reached it's upper brink when the gorgeous Rituparna Sengupta, the talented table-tennis player Poulomi Ghatak and the "esteemed" Dr Sashi Panja took the "center stage"....a glittering tribute to the "grace" of Bengal by Kolkata's very own Agnimitra Paul. 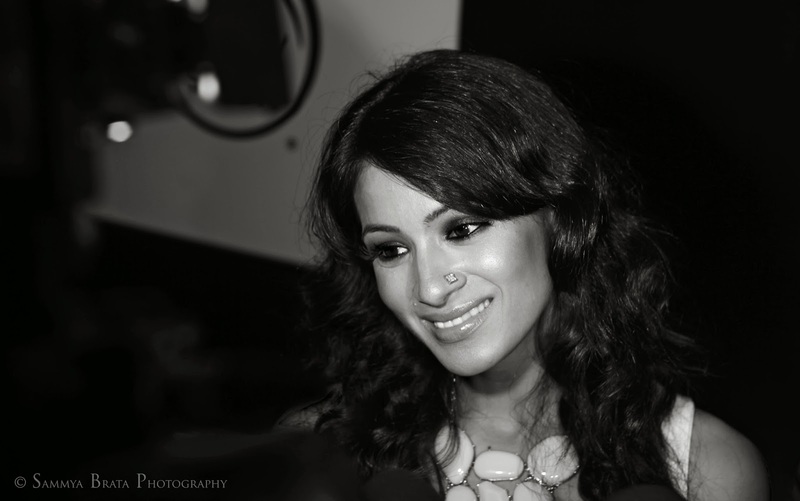 The presence of renowned Bollywood stars Barkha Bist Sengupta and Indraneel Sengupta transformed it into an illustrious affair. 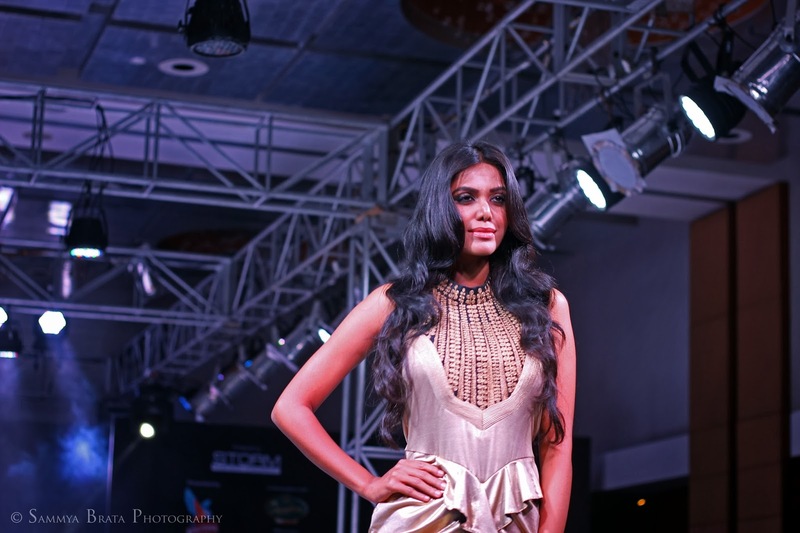 Highlights from the Bengal Fashion Week: Day 1 - Rendezvous with Barkha Bisht Sengupta.. 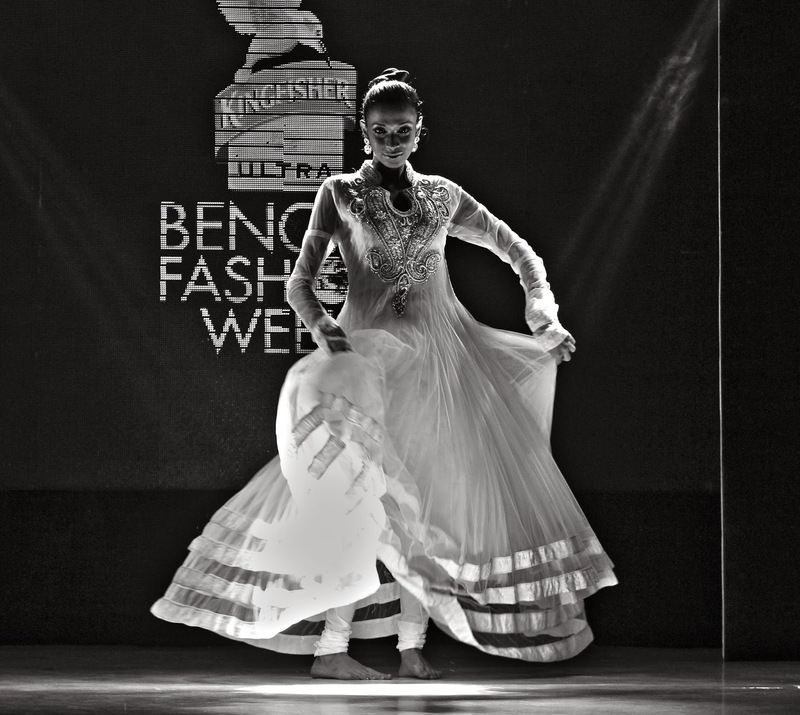 Highlights from the Bengal Fashion Week: Day 1 - That's elegance and grace personified.. 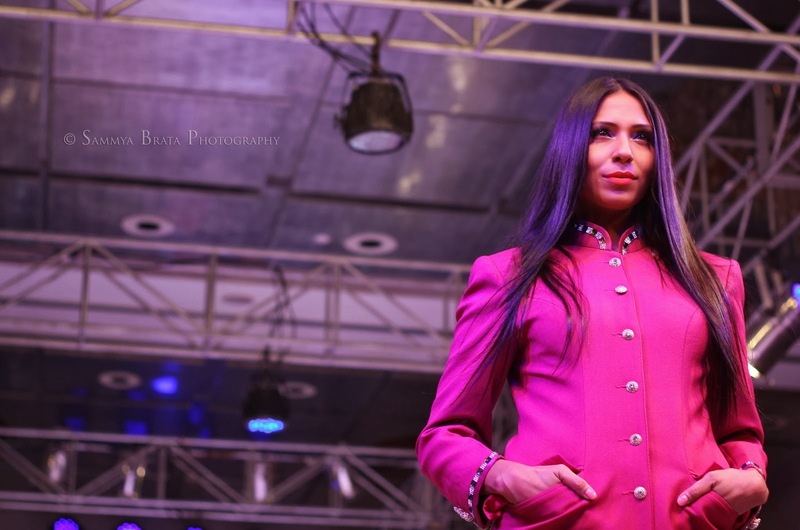 The very talented Mona Pali, laid the perfect platform of the roll out of Day 2 of the Bengal Fashion Week with her sensational collection based on the 'doctrinal colors of India'...the representation that highlighted on the election-centric trend in the country. 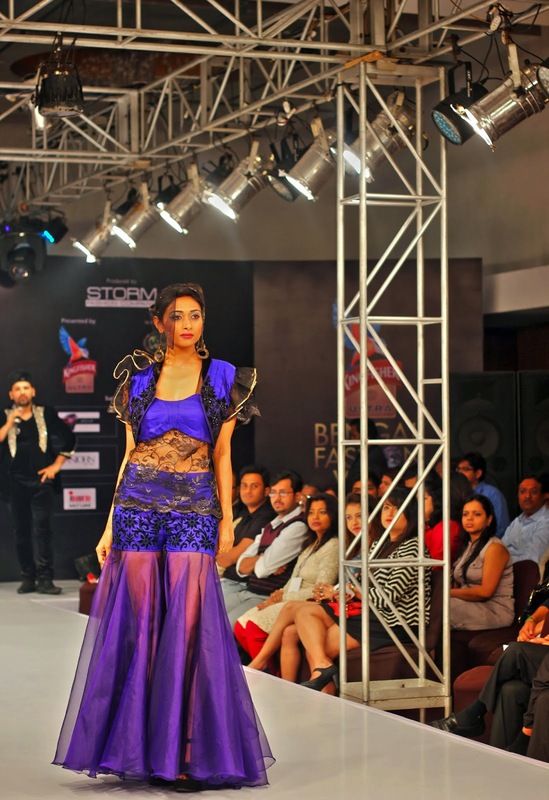 Talking about hypnotizing exhibit, costumier AD Singh lit up the ramp with his exclusive crystallized designs..the shimmering manifestation that created an everlasting impression; the Tolly show-stopper Reshmi Ghosh added that finishing edge to the sensational display. 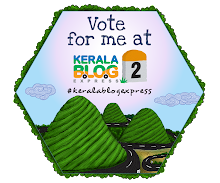 Jattinn Kochhar carried the baton with grace with his "dual-delegation-mode-of-art", the perfect wind-up by the elegant Meera Chopra did send in goosebumps. 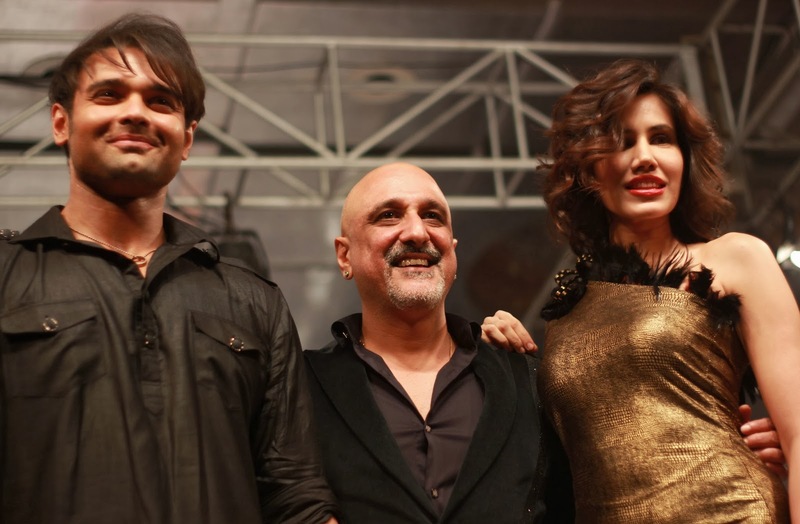 The stage was perfectly set up for the one and only Rock Star, who's renowned for adding that idiosyncratic touch to every possible creation...his stylish demonstration at the Bengal Fashion week was no exception either. 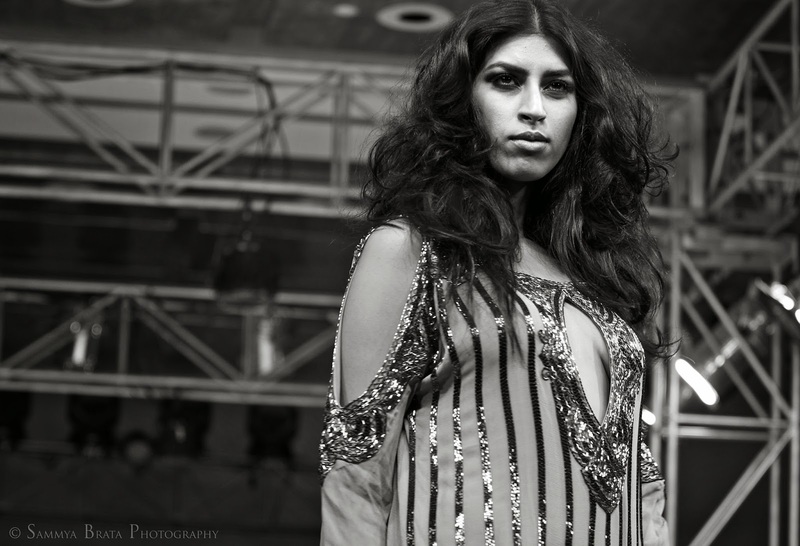 The kaftans, jumpsuits, flow-y fabrics had a mark of resplendence...with a mark of casual elegance...it was a complete eye-candy package to say the least. 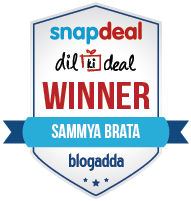 The presence of eminent Tolly and Bolly luminaries including Riya Sen and the show-stopper, Bengal heart-throb Koel Mallick did add to the glamour-quotient. 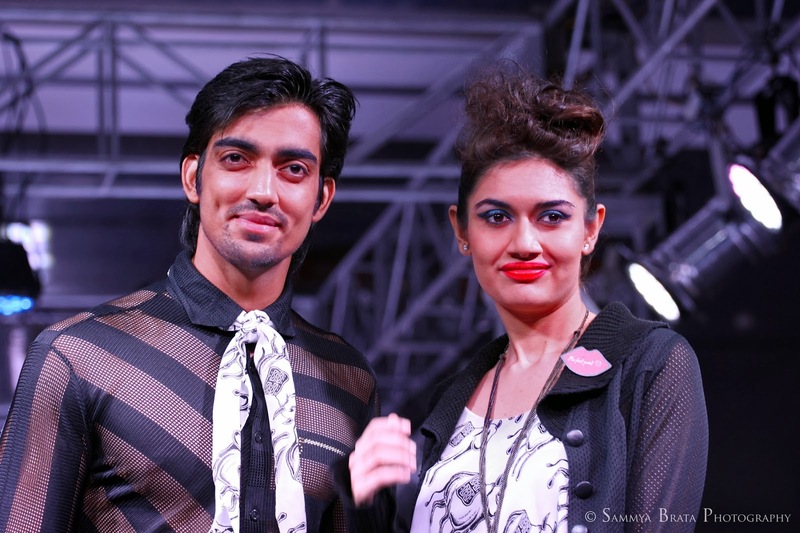 Highlights from the Bengal Fashion Week: Day 2 - Showcasing contemporary designs..
All eyes were fixed on the Finale episode of the ebullient event that did strike the right chords, that did prove to be the perfect hunting ground for fashion-enthusiasts...the stage was set for a sensational climax. 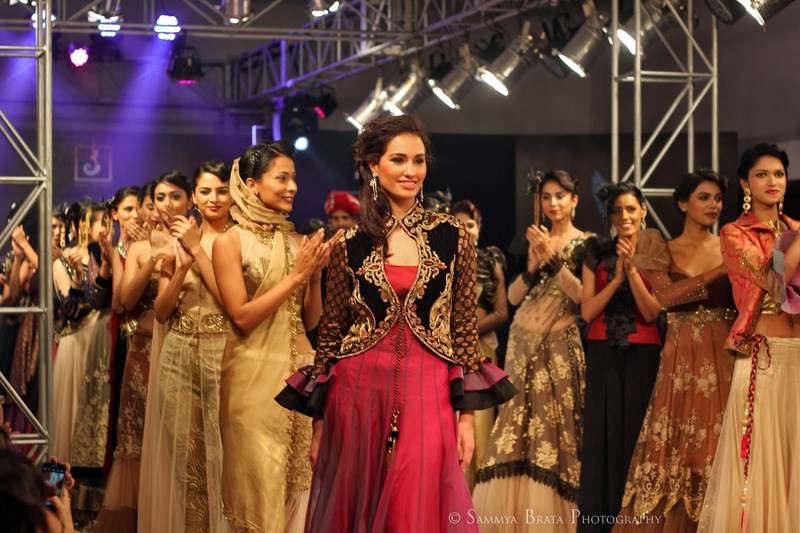 The show that started with the classic 'Brahm Kamal'-portrayal by the accomplished designer Mona Pali, gained momentum with Mumtaz Khan's amicable presentation highlighting the traditional Indian tribal prints..the modish depiction, making the perfect use of eco-friendly integrants. Aslam Khan's show was perfectly contemporary, draped in a palette of vivacious shades...with the charming Hemangani Singh Yadu and Tolly 'tempter' Vijaya Dey. 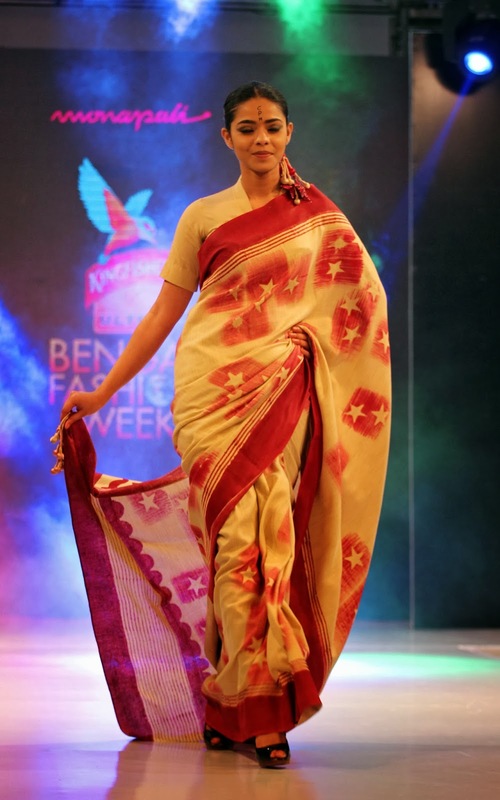 Highlights from the Bengal Fashion Week: Day 3 - The vibrant colours...Captivating.. 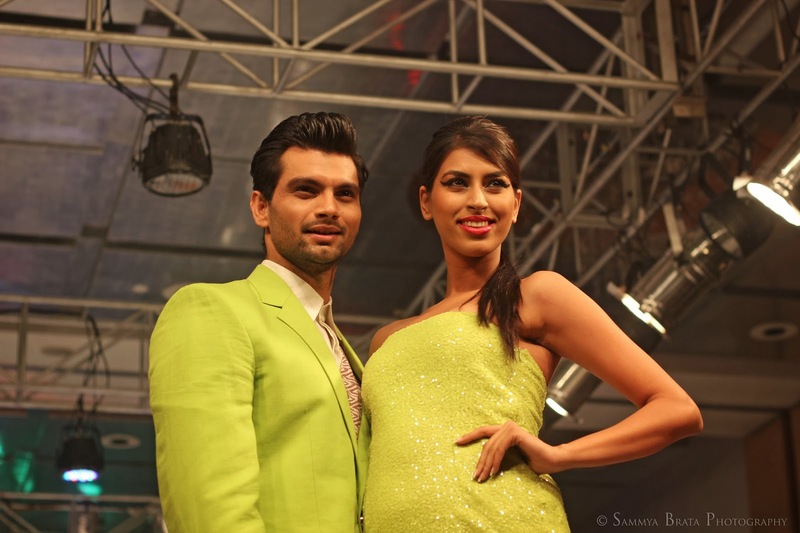 Highlights from the Bengal Fashion Week: Day 3 - That's lemon green for you..elegance! 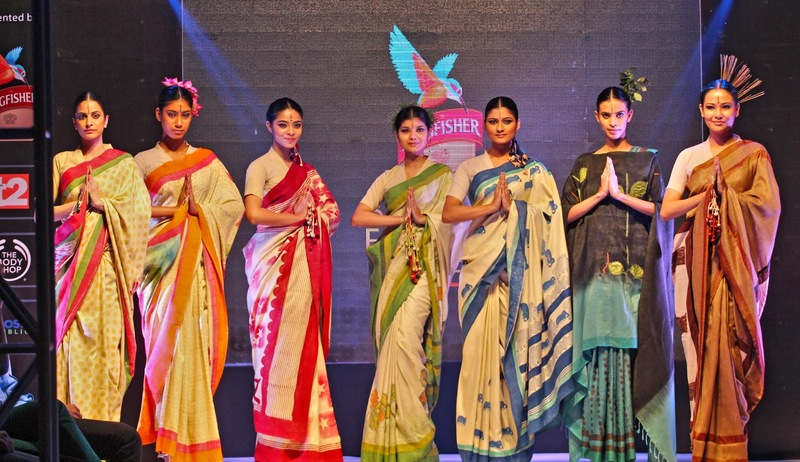 Highlights from the Bengal Fashion Week: Day 3 - It's a consortium of delightful shades. 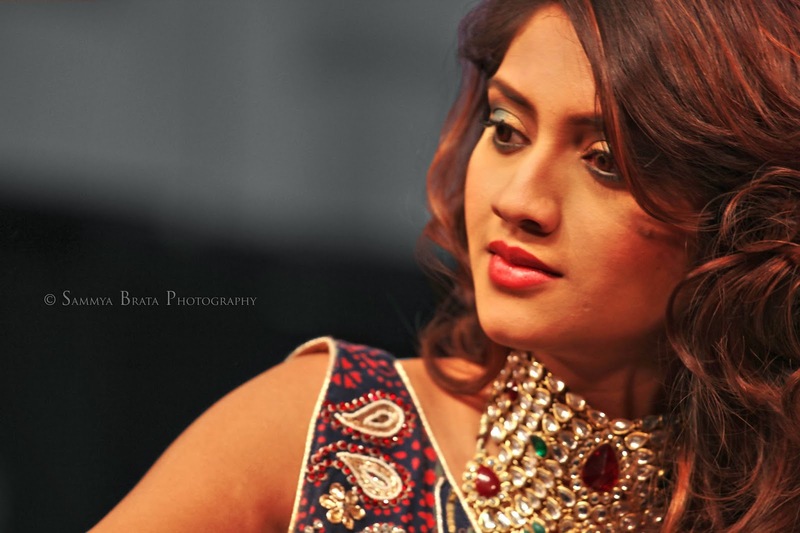 Highlights from the Bengal Fashion Week: Day 3 -Charming Nusrat Jahan on the Ramp. "Ladies and gentlemen...put your hands together for the one and only Manovi Raj Khosla"- Thunderous applause greeted the iconic fashioner Manovi Raj Khosla, the one who scripted the magical Grand Finale of the Bengal Fashion Week with his bold and retro collections...the true disclosure of luster, gloss, glitz and the "oomph-factor", his designs were literally jaw-dropping. 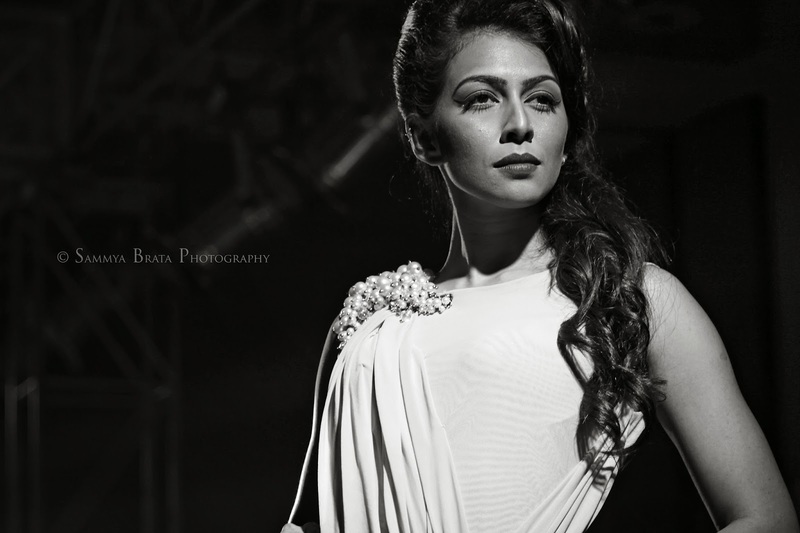 Highlights from the Bengal Fashion Week: Day 3 - Manovi Raj Khosla and the show-stoppers. The "opulent" show-stoppers Mahaakshay Chakraborty and Sonalli Sehgall put forward an unblemished, paradisaical show to "seal the deal"...it was a delectably awe-inspiring show, almost Utopian....the immutable stamp of charisma and enchantment. *And last but not the least cheers to Signature, Live in Style for the official invites. 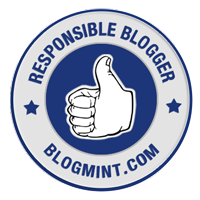 Hi Five fellas...we had a great time.